Ergonomic: Refers to the ability of something that provides comfortable operation for the human body stucture. This DUTY BELT unit is just that. 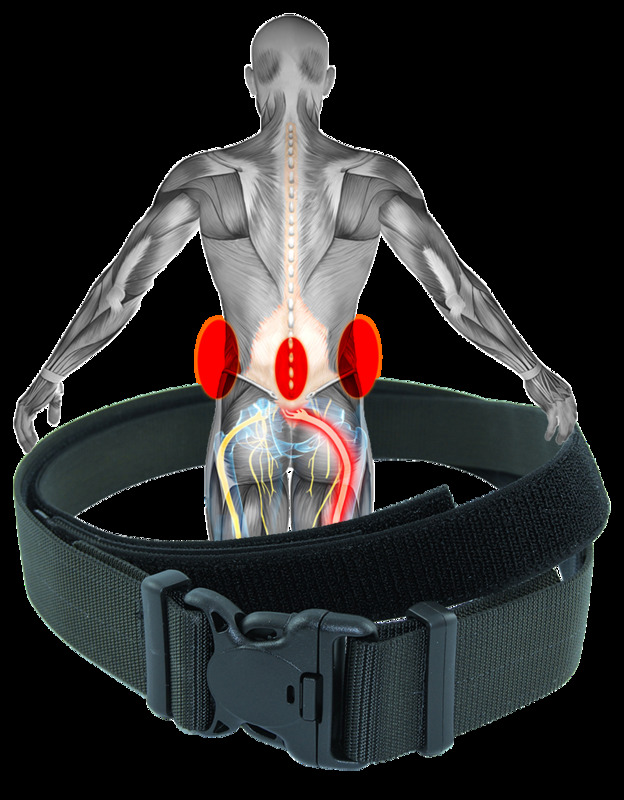 The inner belt expands and contracts with the outer belt. All of the components have to work together, the inner webbing with inner velcro along with outer velcro and outer webbing. All of those components will stretch together with every body movement ie: sitting, bending over, or twisting from side to side. after over 100,000 times of stretch action,unlike elastic that will breakdown over a short periord, because it is not man made. We have also included a much smaller polymere foot print for the gun holster that can be flipped from one side to another to accommodate the user.